From its name alone, there’s no mistaking that the Vista Bay Point condominium parlays location as its main selling point. The stunning bay views from this community are just one of the many reasons why it has starred among all the Sarasota condos for sale. 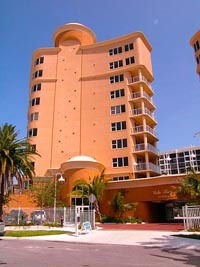 Vista Bay Point has earned a reputation as one of the most luxurious and well-planned developments on the waterfront of Sarasota Bay. Developed in 2004, this condominium is located at 128 Golden Gate Point, a peninsula that hosts other prestigious and highly exclusive Sarasota real estate developments. This area is highly pivotal, being at the eastern approach of the Ringling Causeway Bridge as well as near Tamiami Trail, a strategic Sarasota thoroughfare. The Vista Bay Point condo community is composed of only seventeen units in two elegant buildings that compete for attention with other dominating structures on the Golden Gate Point peninsula. Each of the residences here occupies an entire floor, except the penthouse which is allotted two floors. The floor plans of the Vista Bay Point condos for sale measure between 3,000 square feet and 3,500 square feet. Additionally, the condos for sale in Vista Bay Point range in price at approximately between $1 million and $5 million, offering two- to four-bedroom configurations. A three-bedroom residence with three baths and a floor area of nearly 3,320 square feet can be on the market with an asking price of $1.4 million. An offer of $4.75 million would be the deal of the day for a Vista Bay penthouse having a floor area of 5,427 square feet that features, among other things, a private rooftop terrace, a four-car garage with storage, and expansive picture windows casing the splendid views of Sarasota Bay and the city skyline. 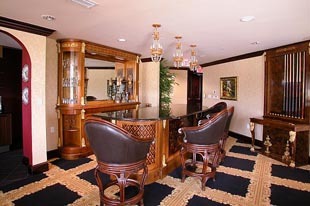 The amenities in the condominium are by all means as luxurious. Its residents have access to a heated swimming pool, a spa and a sundeck. There’s also a full wet bar and kitchen, along with a room for socials, a private theater, a barbecue grill area, and guest suite. 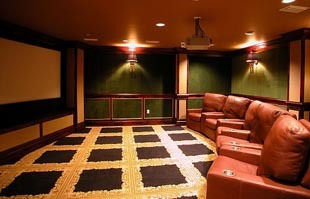 As important, the residents can relish their privacy with the excellent security provided by the complex. The Vista Bay Point condos for sale also prove the worth of their location by the easy access that the residents have to the many urban offerings of Sarasota. Among these are gorgeous dining venues, like Vernona and Ceviche, which are a few blocks from the community. The arts and cultural delights in the city, among them the Florida Studio Theater, are also just a few minutes from the condo development. What’s more, the shops at the nearby Whole Foods Market and Merchants District are as convenient to access as are those chic boutiques located at St. Armands Circle, just a few minutes across the Ringling Bridge. Via the same path past this span, the enticing beach resorts of Lido and Longboat Keys can also be quickly reached for the truly well-planned lifestyle accessible to those who have purchased a condo at Vista Bay Point.